The Xinhua News Agency (English pronunciation: /ˌʃɪnˈhwɑː/) is the official press agency of the People's Republic of China. Xinhua is the biggest and most influential media organization in China. Xinhua is a ministry-level institution subordinate to the Chinese central government. Its president is a member of the Central Committee of China's Communist Party. Xinhua is regarded as the most influential media outlet in China as almost every newspaper in China relies on Xinhua feeds for content. People's Daily, for example, uses Xinhua material for approximately 25 percent of its stories. Xinhua is a publisher as well as a news agency—it owns more than 20 newspapers and a dozen magazines, and it prints in eight languages: Chinese, English, Spanish, French, Russian, Portuguese, Arabic, and Japanese. Like many other media organizations, Xinhua struggled to find the "right line" to use in covering the Tiananmen Square protests of 1989. Although more cautious than People's Daily in its treatment of sensitive topics during that period – such as how to commemorate reformist Communist Party leader Hu Yaobang's April 1989 death, the then ongoing demonstrations in Beijing and elsewhere, and basic questions of press freedom and individual rights – Xinhua gave some favorable coverage to demonstrators and intellectuals who were questioning top party leaders. Even so, many Xinhua reporters were angry with top editors for not going far enough and for suppressing stories about the Tiananmen Square crackdown. For several days after the violence on June 4, almost no one at Xinhua did any work, and journalists demonstrated inside the Agency's Beijing compound. Government control of the media increased after the protests – top editors at the agency's bureaus in Hong Kong and Macau were replaced with appointees who were "loyal to China" rather than those with ties to either Hong Kong or Macau. Today, Xinhua News Agency delivers its news across the world in eight languages: Chinese, English, Spanish, French, Russian, Portuguese, Arabic, and Japanese, as well as news pictures and other kinds of news. It has made contracts to exchange news and news pictures with more than eighty foreign news agencies or political news departments. Xinhua is also responsible for handling, and in some cases, censoring reports from foreign media destined to release in China. The Xinhua headquarters is located in Beijing. 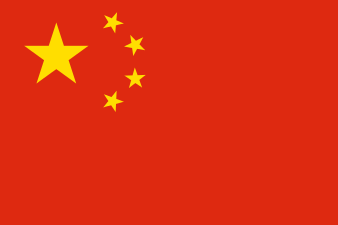 The Xinhua News Agency established its first overseas affiliate in 1947 in London, with Samuel Chinque as publisher. Now it distributes its news in Asia, Middle East, Latin America, Africa where run the superior offices; in Hong Kong, Macau and many foreign countries and districts. In 2011 there were more than 150 Xinhua affiliates. It was authorized by the special administrative region government to continue to represent the central government after 1997, and it was renamed "The Liaison Office of the Central People's Government in the Hong Kong SAR" on January 18, 2000. 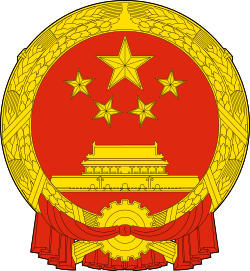 The State Council appointed Gao Siren (高祀仁) as the director in August 2002. After the Liaison Office was established, Xinhua Agency was reconstituted as a bona fide press office. In an interview with Indian media in 2007, the head of Xinhua, Tian Congmin, affirmed the problem of "historical setbacks and popular perceptions". Newsweek criticized Xinhua as "being best known for its blind spots" regarding controversial news in China, and mentioned that its "coverage of the United States is hardly fair and balanced". Even so, "Xinhua's spin diminishes when the news doesn't involve China". ↑ Troianovski, Anton (June 30, 2010). "China Agency Nears Times Square". The Wall Street Journal. ↑ Fish, Isaac Stone; Dokoupil, Tony (September 3, 2010). "Is China's Xinhua the Future of Journalism?". Newsweek. Retrieved September 5, 2010. ↑ Barboza, David (May 16, 2008). "China: CNN Apologizes Over Tibet Comments". New York Times. ↑ Spencer, Richard (March 28, 2008). "Bias over Tibet cuts both ways". London, England: The Sunday Telegraph. Retrieved September 5, 2010.